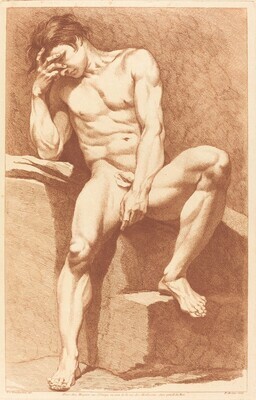 lower left in plate: E d. Bouchardon del. ; lower center: AParis chez Huquier rue St. Jacque au coin de la rue des Mathurins. Avec privil du Roi; lower right in plate: P. Aveline sculp. Grossherzogliches Museum, Schwerin. Ellwanger/Mescha Collection, Washington, D.C.; gift to NGA, 2005.